Give It All You Got (Or Forget About It) sums up The Mahones in one song – All or nothing! A Great Night On The Lash: Live In Italy is a true testament to that spirit. 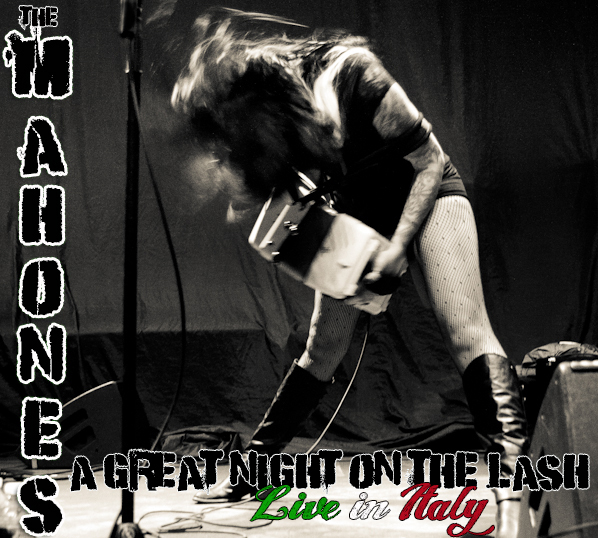 Recorded live in front of 5,000 screaming Italian fans the album captures a band at their live peak – half way through a 12 month world tour (Canada, The US and just about every country in Europe – twice) The Mahones are a well oiled rock’n’roll machine. Legend has it Finny spotted the state of the art recording equipment just before The Mahones were to play a headlining set and persuaded the powers that be to record their set but kind of, sort of, didn’t tell the rest of the band what was going down – wouldn’t want the band to be too self-conscious of the tapes rolling. I grew up on live albums and A Great Night On The Lash is up there with the best of ‘em – If You Want Blood (You’ve Got It) or Live At Leeds – look ‘em up kids. Maybe I’ll even be so bold to call A Great Night On The Lash Celtic-punk’s Live & Dangerous.